Want to connect with Kaustubha? Nice to meet you! 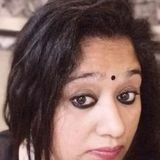 My name is Kaustubha.I am versatile.i can manage household,teach childen,be a personal assistant.I am a good cook.i am a quick learner and can easily adapt.I love dogs.I gel very well with kids and around them.i am an engineering graduate.